Today I wanted to share some slides from last RubyMeditation with you about setting up Docker environment for your projects. It has useful tricks about Docker Multistage builds, Docker-compose code reuse, ELK stack setup for logging containers. 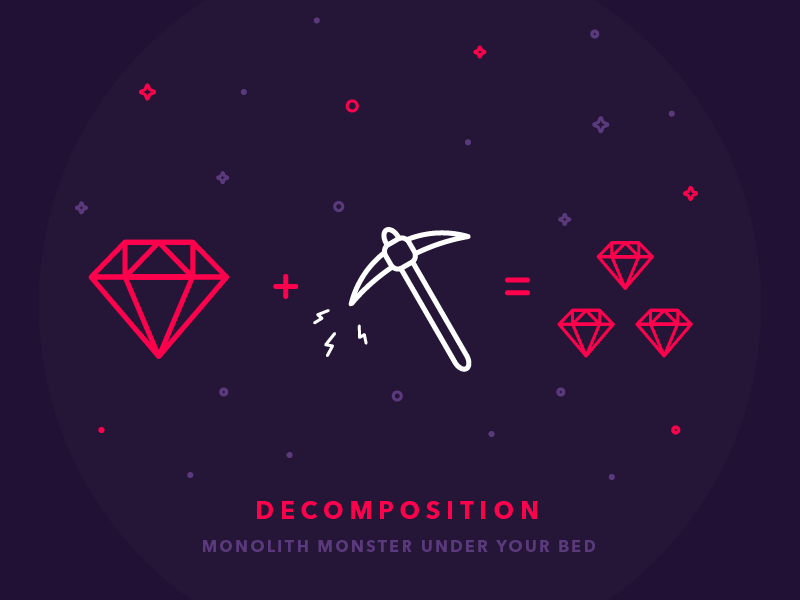 Once in a while every developer thinks about decomposing their monster monolith Rails application into services. Very ambitious and brave thought! Why? We all know the pros of service-based architecture, but the cons make us think twice or even give up on decomposition. Here are the big fears of decomposition: single authentication, performance and complexity. Luckily we have Redis to make us brave enough again and help resolve at least some problems easily.